You would have to start pretty early and finish late to be able to squeeze in the maximum amount of relaxation possible at Nirvana Spa near Reading. I spent who day there and yet when it was time to leave I realised I still hadn’t fallen asleep on a poolside lounger as I’d planned, nor read the Sunday papers that I’d been lugging around with me all day, or even tried out the futuristic-looking endless swimming pool lanes which let you swim against a current rather than having to turn at every end. So what on earth had I been doing all day? My friend Lisa and I arrived at the spa as planned at 11am (in spite of the best attempts of my phone’s satnav) having driven from London, but the spa is open from 8am at the weekends and 6.45am during the week. 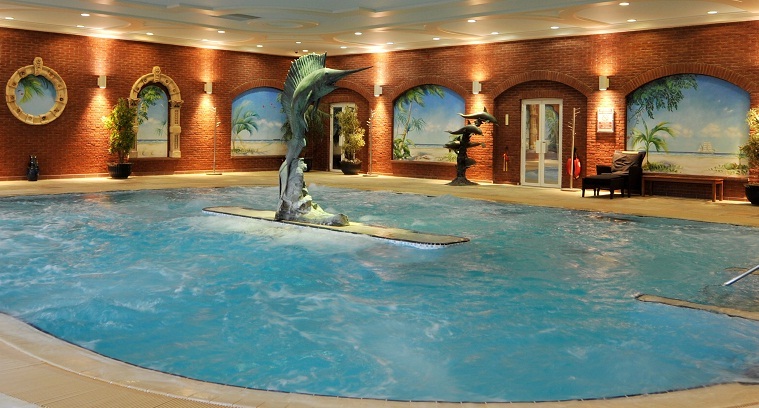 It is always a good sign when you can start to feel your shoulders unwind just on walking into reception and there was indeed a very relaxing air to the place, from the smells and the music to the sight of the large hydrotherapy pool through the glass wall. The changing rooms were large and clean, and robes, towels and locker keys were all allocated. 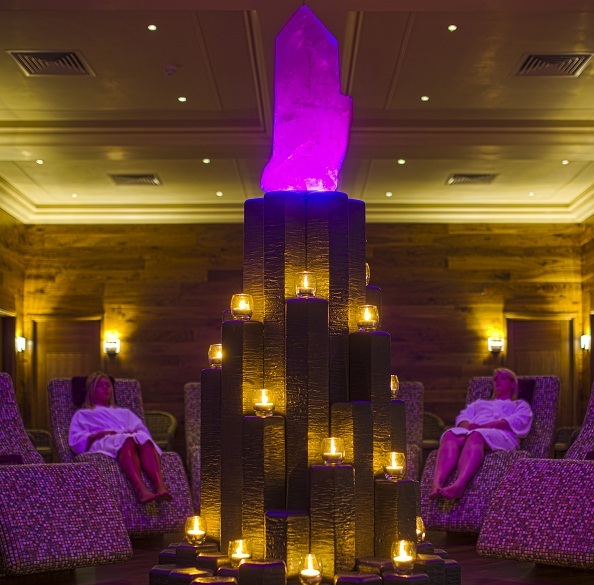 A quick change and we were straight off to the Crystal Suite for our treatments. I had my first ever hot stone massage which was extremely relaxing: for some reason I’d always assumed the stones were just plonked on your back and left there, but the sensation of heat trailing up and down my back and legs was really memorable, while Lisa enjoyed her Swedish massage. The relaxation continued back in the Crystal Suite afterwards as we supped on fruit tea while lounging on heated ceramic loungers which were surprisingly comfortable to lie on. 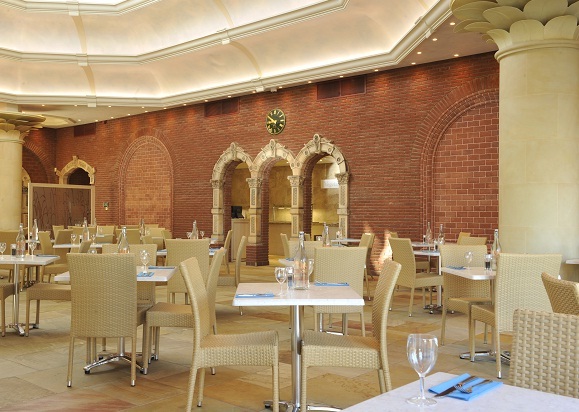 However we had a lunch to fit in before our afternoon’s activities, so it was straight off to the restaurant. It was the first sunny day of the year so in spite of the wind we sat outdoors by the open air pool in our fluffy robes and ate a vast amount of food. 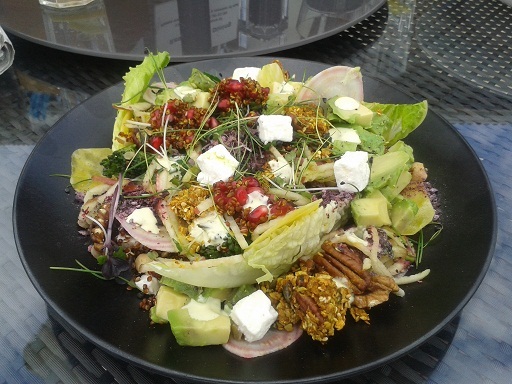 We’d been recommended to try the new Superfood salad (£8.95) with all sorts of healthy stuff including spiced quinoa, beetroot, chickpeas, broccoli, spinach, avocado, walnuts… it was so packed with ingredients it showed no sign of diminishing even after I’d been eating it for ten minutes. However we didn’t stop there: we also tried the smoked salmon with brown crab (£.7.50), the pan-fried king scallops (£8.60) and the seared salmon with rice noodles (£10.50) and at that point we were informed we could try out the restaurant buffet, which had a whole load more healthy but tasty food and is available to people on the day package. Overall the menu was well-designed with a good selection of reasonably-priced food, which leaned towards the nutritous side but which still allowed for indulgence as the many cakes and desserts on offer (including chocolate brownie) showed. After our blow-out we had no room for dessert and in any case it was time for the spa’s signature treatment, the Celestial Floatation, so we gathered with three other women at the side of a beautiful circular pool with Zodiac frescoes along the walls and a spectacular twinkling ceiling showing the night sky. 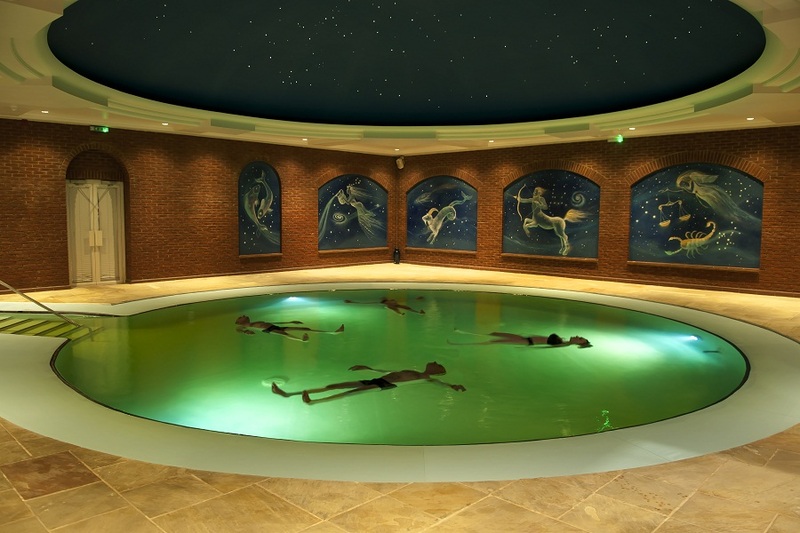 The addition of 60 tonnes of Dead Sea salt in the pool, which was heated to 35 degrees, meant that you could float without swimming or being supported at all (buoyant pillows were provided if you wanted) and a gentle current gently but steadily wafted you around the pool. With the lights dimmed we were left to float for half an hour and it was quite a magical experience: the water was so warm you barely felt you were in motion at all and it was quite a surprise whenever I opened my eyes to see the night sky moving past. The current ensured no-one bumped into each other and the huge salt content means that as well as being very relaxing, the water would help with cuts and other skin ailments too. Time was ticking on and we still hadn’t made it a third of the way round the massive map we’d been given on arrival. It was time to get serious about relaxing. We did the double-whammy of the steam room and the sauna with a heart-stopping dip in the ice-cold plunge pool in between (and later discovered actual ice you could smother all over yourself to give those pores a good workout). 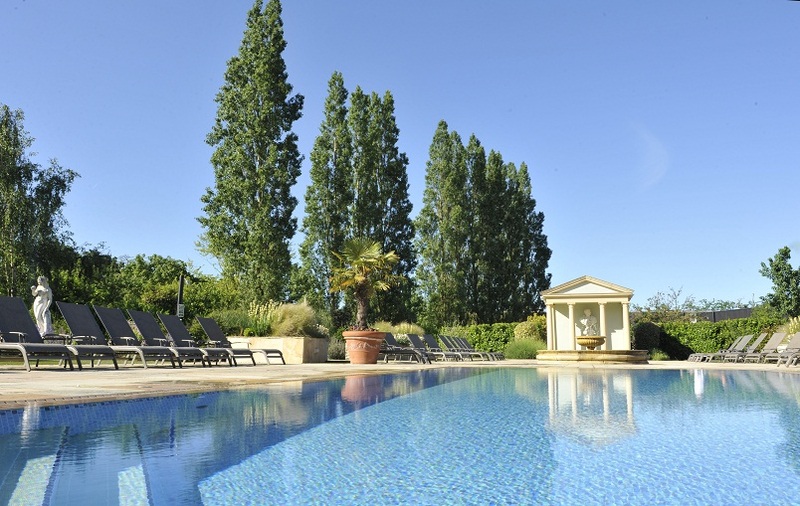 Then it was off to be pummelled by some of the 53 jets in the huge and bubbling hydrotherapy pool before a quick sunbathe by the largest and quietest pool (there are three in all), the other side of the complex. 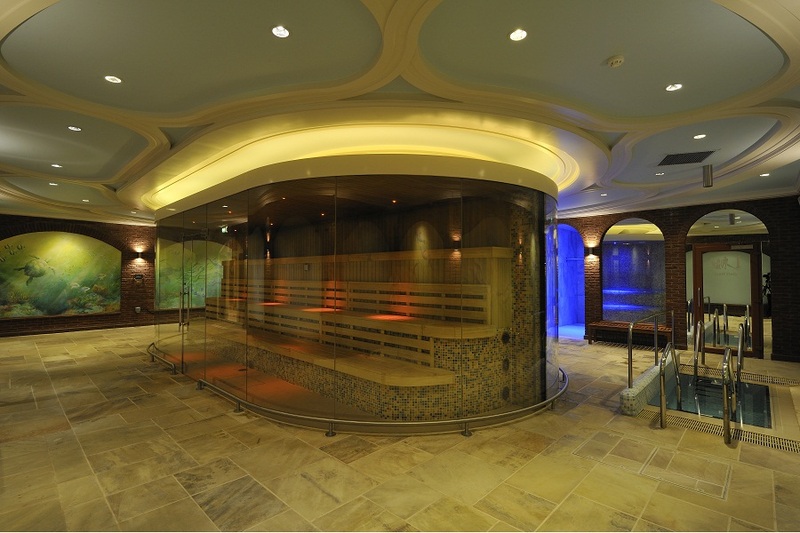 We then tried out the jacuzzi and the tepidarium, (we also found the gym but decided we were too relaxed for exercise) and then realised there was only time left for a quick drink and slice of cake back in the restaurant before it was time to shower and reluctantly depart. As we left there was a sudden influx of more customers including a hen party, taking advantage of the evening offers, but while the changing rooms became a little more hectic the spa overall is big enough to cope without becoming crowded. 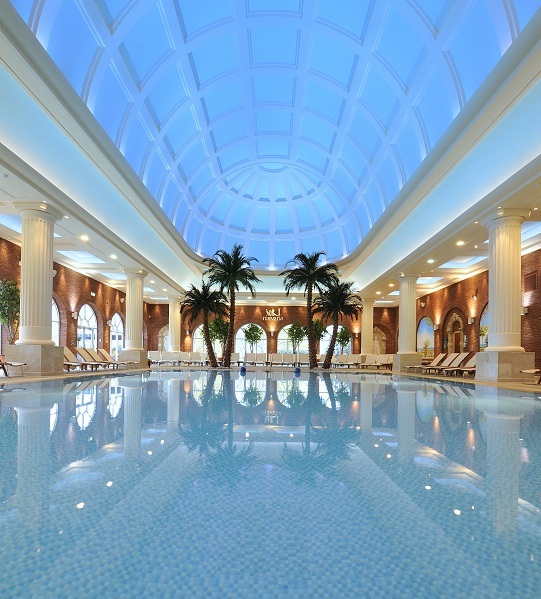 The spa is a membership club as well as for day guests and if I lived nearby it would be an extremely tempting prospect. However you can certainly pack a lot into one day – just make sure you get there early to fit it all in. Every review is personally researched and written by me, Sarah Bridge, who, when I'm not writing about leisure for a national newspaper, spends my time seeking out the best leisure experiences, from city centre boutique hotels to country house estates, Michelin-starred dining to the newest openings. Some of the links on my reviews are affiliate marketing links, which means if you click through I get a small commission if you end up buying on these sites. This in no way affects the independence of my reviews, but helps with website running costs and I just wanted to let you know so as to be fully transparent. Sarah, sorry but you need to update your review. There is no need of £1 coins for lockers these past ca. 2 years, and the HydroPool has windows no longer – but there is shortly to be commissioned the “Colosseum” Suite which promises to be ‘interesting’. (Indeed, the Nirvana Spa map itself will soon need updating too). There have been improvements to the patio area too. Thanks Mike – really useful and will update!